More information was recently published by the BMA on primary care networks. You can read it here. I would regard it as essential reading for all GPs and practices who are considering joining a network. But at 30 pages it takes some working through, so for the time poor I have summarised below what it says about the questions not answered in the initial contract document. The answers provided are essentially quotes from this new BMA handbook. 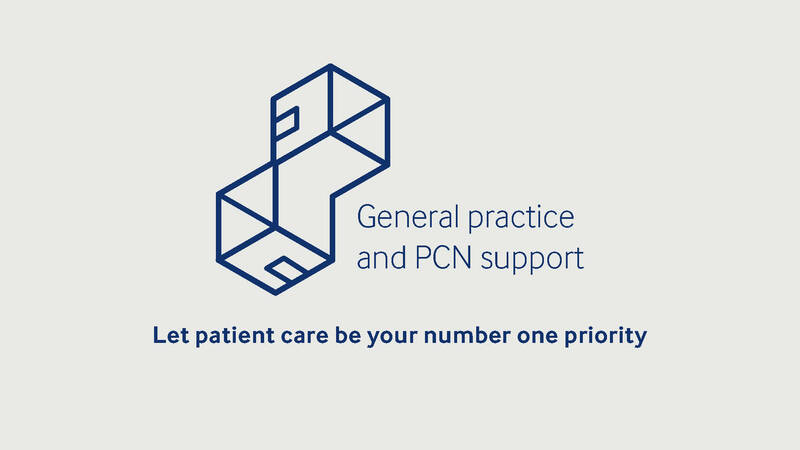 Can CCGs influence the shape of the new Primary Care Networks? The content of the network agreement is not within the remit of the CCG to challenge. As long as the practices have agreed, the CCG cannot refuse the DES based on its content. What agreement is required between practices in a network by 15th May? internal governance arrangements (appointment processes, decision making process, etc). Who can be clinical director of a primary care network? Does it have to be a GP? It is expected that the clinical director will be selected from the GPs of the practices within the network, but any appropriate clinically qualified individual may be appointed. While there is no requirement for the clinical director to be appointed from within the network, we recommend that the first option should be to consider an appointment from within. How will Primary Care Networks make decisions? Each network is to have a governing/representative body. This network “board” should operate as the network’s governing body, bringing all members together, overseeing joint decision making, the strategic direction of the network and the network’s funding/financial layout. It is also the body to which the clinical director would be directly accountable. What will the operating model of Primary Care Networks be? Key issues to consider when establishing an operating model include employment liabilities, ability to offer NHS pension, and inadvertently attracting VAT charges. “Flat practice network” – practices work together and spread responsibilities and commitments, with one practice acting effectively as the network bank account. “Super-practice as a network” – a super-practice creates an internal ‘network’ amongst its constituent sites, with each ‘neighbourhood’ of practices operating as a mini network in themselves. The super-practice would be the nominated payee and would then supply support and resources to its constituent neighbourhoods. “Non-GP provider employer models” – the non-GP provider is signed up to the network agreement, along with the GP practices. They provide network services and employ staff available under the DES on behalf of the network, as well as using their own staff to further enhance the network’s potential workforce. All primary care networks will need management and administrative support structures. Practices that form the network will also need to seek advice on any proposed legal agreements and financial matters, and will need to establish a regular meeting of their representatives to ensure that things are developing as planned. What will Primary Care Networks actually do? offering access to the extended PCN team (extending the workforce). The funding currently associated with the Extended Hours DES will transfer (with the associated responsibilities) to the network. This will be provided as an entitlement to the network’s nominated bank account of £1.45 per patient. The network will decide how this funding is distributed in line with the provision of services required to fulfil the requirements of Extended Hours. The £6 per patient that is currently provided for the Extended Access scheme will also transfer to the networks; the exact timing of this transfer will depend on the current arrangements in each area for the Extended Access scheme… The intention is to bring together extended hours and extended access activity to reduce fragmentation and confusion for practices and patients. How will the funding for the new PCN workforce role work? Will smaller networks receive (proportionally) more funding? There will be funding for the clinical lead post for each network on a basis of 0.25 WTE per 50,000 patients, at national average GP salary (including on-costs) (of £137,516). For the first year of the DES (2019/20), every network with a population of at least 30,000 can claim 70% funding as above for one additional WTE (whole time equivalent) clinical pharmacist and 100% funding for one additional WTE social prescribing link worker. The level of funding available for a PCN will scale with its size. This will be especially true in future years when workforce funding switches from direct reimbursement to a capitated payment, based on the population size of the PCN. Over the coming years…the workforce reimbursement system will be altered so that it is linked to the patient population of the PCN. The network will need to provide a monthly invoice with evidence of costs to its CCG, and will be reimbursed the required amount up to the maximum reimbursement. The maximum reimbursable amount for each of these roles will be set at the weighted mid-point of the respective Agenda for Change salary band. There are no mandated contractual terms for staff employed under the PCN DES. Can the funding be used for additional staff practices have already employed? Staff employed under the DES must be ‘additional’ to the existing workforce employed by the network’s member practices. This will be measured on a 2018/19 baseline established as of 31 March 2019…The only accepted exception will be those clinical pharmacists employed via either the national Clinical Pharmacist in General Practice scheme and Pharmacists in Care Homes scheme. How are practices expected to fund the 30% staff costs (for roles where only 70% funding is provided)? Use the network payment (e. the £1.50 per head). Who will be responsible for distributing the network funding? Can my CCG decide not to provide the required funding for networks? Commissioners cannot remove or reduce the entitlements, but they can add to them. Commissioners may choose to transfer, where appropriate, their locally commissioned services contracts to the network, rather than with individual providers. Are Primary Care Networks just a precursor to general practice becoming part of Integrated Care Providers? A more controversial model of integration, the ICP (Integrated Care Provider) has also been introduced by NHS England. ICPs involve merging multiple services into a single contract, held by a single provider. ICPs have been subject to controversy and the BMA has been clear that we oppose their introduction, as they increase the risk of privatisation and are incompatible with the independent contractor status of GPs.